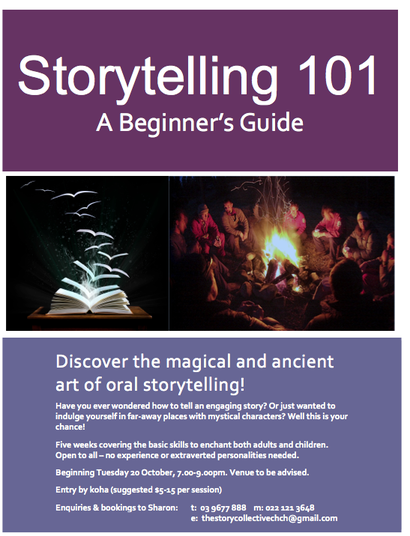 Have you ever wondered how to tell an engaging story? Or maybe you want to learn more about the storyteller's art? Even if you just want to indulge yourself in faraway places with mythical characters – this is the workshop for you! Each evening covered one or two topics and involved a mixture of discovering the storytelling element and then practising it in a fun, relaxed and non-scary way. There was no need for any previous experience of storytelling, performance background or even to be good at speaking to a group. Just a willingness to have a go! The first workshop was on Tuesday 20 October at The Sydenham Room, South Library, Beckenham.